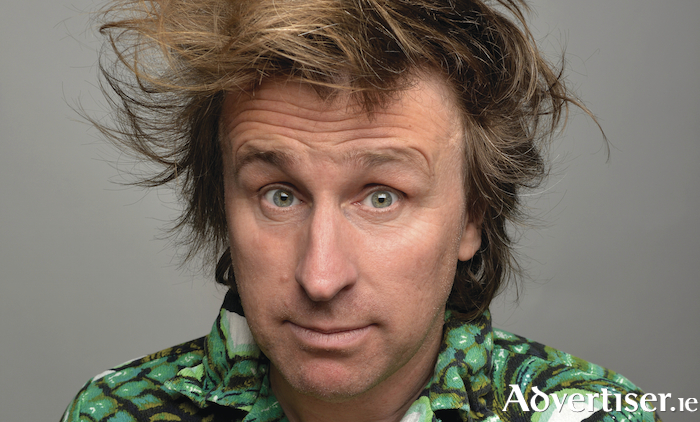 TOUSLE-HAIRED laughmeister Milton Jones brings his unique brand of comic brilliance to Galway next week when he performs his new show, Milton Jones is Out There at the Town Hall Theatre. Milton Jones is Out There is a manifesto of nonsense and the perfect antidote to the world’s troubles. If this master of the one-liner were running for prime minister, or even taoiseach, would the world be a worse place? The answer is a unanimous yes, but we will not let that put us off. The Surrey born comedian will be holding up the mirror of truth to society, and he can see right through it, which probably means it is just a window. He will also be putting his foot down and lifting the lid on the media’s pedal bin of lies. This is family-friendly, finely-crafted, comedy at its best from one of the legends of the UK comedy scene. Milton is one of the UK’s biggest-selling stand-ups, with his last two tours each seeing him perform to more than 100,000 people. He made his comedy debut in 1996, scooping the prestigious Perrier Best Newcomer Award, and he has since become a mainstay of the UK comedy scene. He is a regular face on TV shows such as Mock The Week, Live at the Apollo, Live at the Palladium, and Michael McIntyre’s Comedy Roadshow, as well as being about to record a 12th radio series for Radio 4.